It’s time to take a closer look at The Last Jedi, its storytelling, and its impacts on fandom. Fangirls Going Rogue Facebook page admin and all-around smart guy Adjua Adama joins Tricia Barr, Teresa Delgado, and Sarah Woloski to discuss comparisons to Roman and African history as well as the theme of failure. 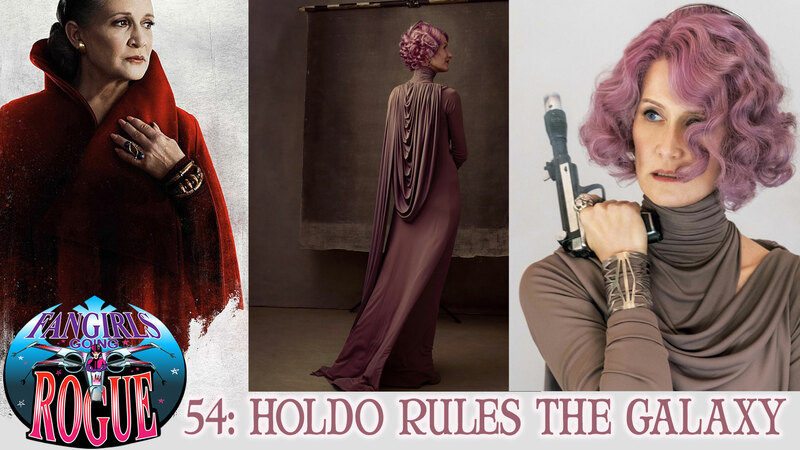 Our character discussion dives into Vice Admiral Amilyn Holdo. How does she compare to what we see in Leia: Princess of Alderaan? Was Poe justified in taking a stand? Why did the farewell scene with Leia punch us in the gut? As always reviews and ratings are our life blood. If you enjoyed this episode take a moment to leave a review and share it on social media. Thanks for listening, and until next time: Yub yub!